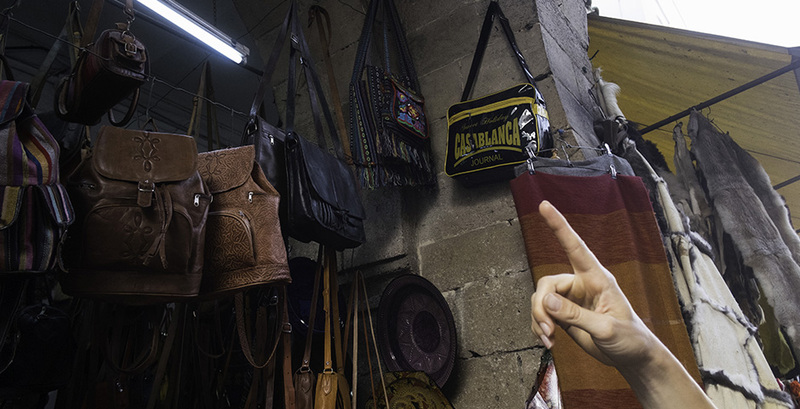 Casablanca is teeming with shopping spots. In your wanderings, you will have no difficulty in seizing the opportunities to fly and to hunt here and there sometimes the last object in the fashion of a big sign sometimes a craft piece finely cut. Proof that shopping, like the city, has a double face, the tradition of Moroccan craftsmanship and that of major international luxury brands. Download the shopping guide by clicking here. One can quickly get a taste for lazy strolls behind the ramparts of the old medina, that host a market full of treasures. 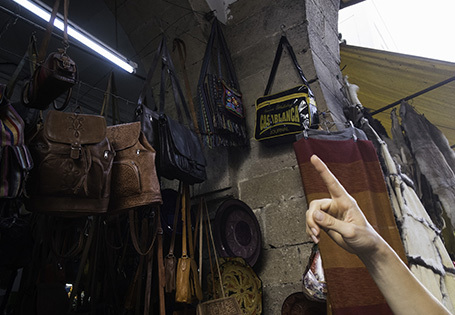 In this souk with multiple entrances, don’t be surprised to see handicraft objects, small chests, and other leather goods pieces, leather jackets, traditional sandals, jellabas, gandouras and caftans displayed alongside jeans, t-shirts, dress shirts and other modern clothing items. Don’t hesitate to take a break and stop at the Sqala for a bite to eat or at one of the restaurants in the port if you enjoy eating fish. 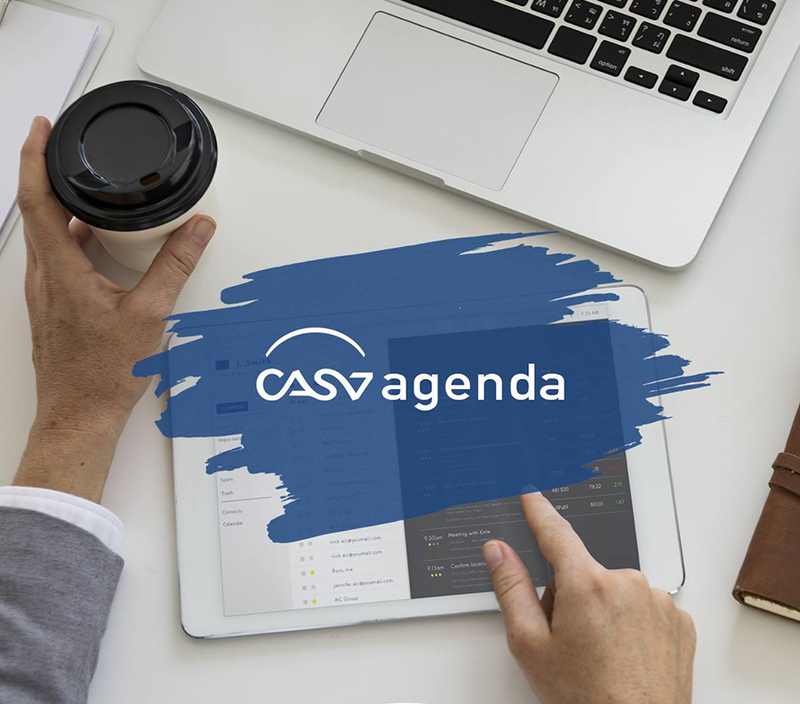 Close to the Megarama and a walking distance from the Four Seasons Hotel Casablanca, it is both a high-end shopping mall and an audacious real estate development that reinvents the Casablanca art of living. Hundreds of stores chose to establish themselves in this beautiful space where it is truly a pleasure to shop and where endless activities are offered. In Casablanca’s city center, between remarkable old buildings with an art deco architecture, there is a small pedestrian street: rue Prince Moulay Abdellah. It is named after an eminent member of the royal family. In this neighborhood, the old buildings dating back to the 1930s face more modern Moroccan streets.Here, the popular Morocco reclaimed its position,blending two cultures and two architectural styles. This neighborhood, which was very popular in the 1920s, represented the modern lifestyle of the people of Casablanca, up until the 1970s. Some shops, such as Maison de blanc, are real institutions and all the inhabitants of Casablanca still goes there for home linen. 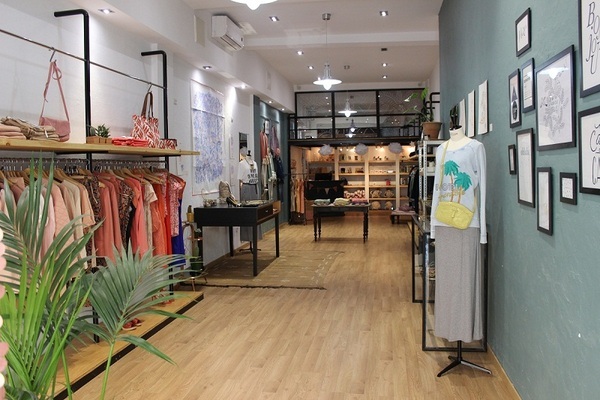 In terms of shopping, women have a choice of several Moroccan stores, such as Keito, a ready to wear store, Diamantine for more traditional clothing, Bigdil for accessories, and Armel and Au Derby for shoes. The Yves Rocher store located in the middle of the street was one of the first to see the light and is still a reference today. Several jewelry stores can also be bound in the neighborhood. Men have their fair share of stores as well. Indeed, rue Prince Moulay Abdellah hosts several suit and shirt shops that sell items at very affordable prices. They cater to every taste, both in terms of styles and colors. Célio also opened a store in this lively, popular street. A vibrant neighborhood, it shows a different facet at night, with its many bars and restaurants that appeal to a young, trendy population in search of authentic places. One can have dinner in places dating back to the past century for a nostalgic atmosphere.Restaurant owners have made a point to keep a generous, tasty cuisine. Hence, you can try t aditional French cuisine, enjoy delicious tapas, and even honor Moroccan dishes. It should be noted that Prince Moulay Abdellah neighborhood is full of prospects, thanks to its rehabilitation project. The lighting, public facilities, and facades have been remodeled to offer beautiful trolls whilst being steeped in the history of the neighborhood and what it was like in the past. A real historical gem, not far from the majestic Royal Palace, the Habous neighborhood provides full immersion into the Casablanca of the past, rich with history and tradition. In its narrow alleys, bordered with shops and bazars, time seems to have frozen. With its typically Moroccan architecture, the Habous neighborhood was meant to accommodate the families of traders from various regions of Morocco. Hence, the new medina as we call it, was built to fully meet the style of a traditional medina, by combining Moroccan tradition and modern, town planning rules. Far from the noisy, bustling streets of the old medinas, the medina of the Habous provides a peaceful, calm and spiritual atmosphere. Of course, it comes from the beautiful “Mohammadi” mosque, and its many, tiny, adoul offices surrounding it. These justice representatives retranscribe all the deeds pertaining to personal status. A little farther away, you will find the street with the bookshops, with its beautiful arcades and many displays. It offers the sight of magnificent bound volumes, precious illumination work, and examples of popular calligraphy. Behind it is Ibn Khaldoun street. Here, you will see a true outdoor show, with all the sellers of jewelry, djellabas and babouches. You can find nice, Moroccan handicrafts pieces, traditional or revisited. The shops, with their colorful objects piled even on the floor, look like real Ali Baba’s caves. This is the ideal place to stock up on babouches, gandoras, tunics, belts, bags… The colors are bright, the smell of leather is everywhere. Moulay Youssef square and the eponymous mosque are down the street. From there, new horizons begin. In this medina which is a real labyrinth, and its different souks of spices, olives, and its kissarias, visitors forget the craze of the city. In this beautiful neighborhood, it is a must to stop by the Bennis pastry shop, specialized in Moroccan pastries since 1930. It is nestled in a house that doesn’t have a name, and its gazelle horns, briouates and other chhiwates are famous in the whole country. Some coffee shops scattered in the Habous neighborhood allow you to take a break to sip a mint tea or have a full-bodied dark coffee, to taste these delicious treats! If you want authenticity, this neighborhood is the place to be! from the traditional codes. This new fashion appeals to young, trendy customers. Casablanca designers now display their work in concept stores, shops, corners and showrooms all over the city. Caftans, gandoras, jellabas, jabadors, and serouals are reinterpreted, and in parallel, the ready to wear collections break free from these Moroccan lines. The handmade cloaks by Ghita Lahrichi, the babouches of Zyne, and the leather jackets by AD Fashion are worn in everyday life. Moroccan haute couture is also doing wonderfully, its designers reinvent traditional fashion with designs that beautifully combine modernity and tradition. A masterpiece in the wardrobe of elegant Casablanca women, caftans represent the emblematic figure and know-how of the Kingdom’s best craftsmen. Synonymous with elegance and refinement, they require hours of work and all the pieces that compose them are handmade. touch. They all export their work and have conquered the catwalks from Paris to New York, from London to Amsterdam. Haute couture, ready to wear, jewelry, leather goods, and shoes artists: there are artists in all fields to the greatest delight of informed fashion addicts! A real luxury hub in Casablanca, The Golden Triangle stands out as THE ultimate chic neighborhood. A hint of Parisian air blows over this small luxury paradise. Here, there is a real fashion pilgrimage every day, as fashionistas go there for their shopping. Initially, the famous Golden Triangle was not really in this neighborhood: more towards the east, it included a part of Casablanca between Anfa, Zerktouni and Massira El Khadra Boulevards. It is a triangle in which real estate prices were among the highest in the city. At the Golden Triangle, you can find things to please the most demanding people!